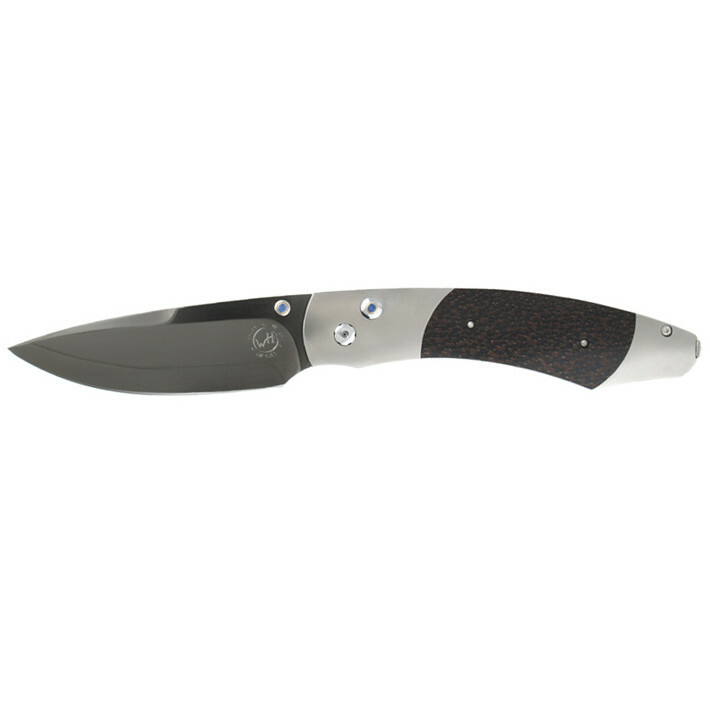 William Henry "Spearpoint" folding knife in aerospace-grade titanium with a tungsten DLC-coated damascus blade and black palm wood inlay. Set with sapphire. Titanium clip case. 3.00" blade. 6.81" length. Limited edition of 500 knives.